DocOrigin now integrates the design and creation of Universally Accessible PDFs (PDF/UA), meeting ISO 14289-1 and WCAG 2.0 standards for PDF documents, into its flagship document generation software. The World Health Organization estimates 246 million people worldwide suffer from some form of visual impairment – with 39 million of those classified as blind. With PDF/UA conforming files, readers and assistive technology, these individuals and others with disabilities can have equal access to online information. With DocOrigin, you can now generate universally accessible documents and forms that are appropriate for all of these readers – without complex post-processing tools. Read our White Paper, by Greg Garner. Your Customers Can't Read Your Documents! A timely reminder from our partner, Braille Works, on why compliance with Section 508 of the United States Workforce Rehabilitation Act is so important for your business. Easily comply with upcoming legislative mandates for document accessibility. Faster than using a post-processing software to convert PDF to PDF/UA. Expand your reach to the 246 million people worldwide with vision impairment. It doesn’t make sense to have your IT team cobble together freeware and homegrown work-around solutions. 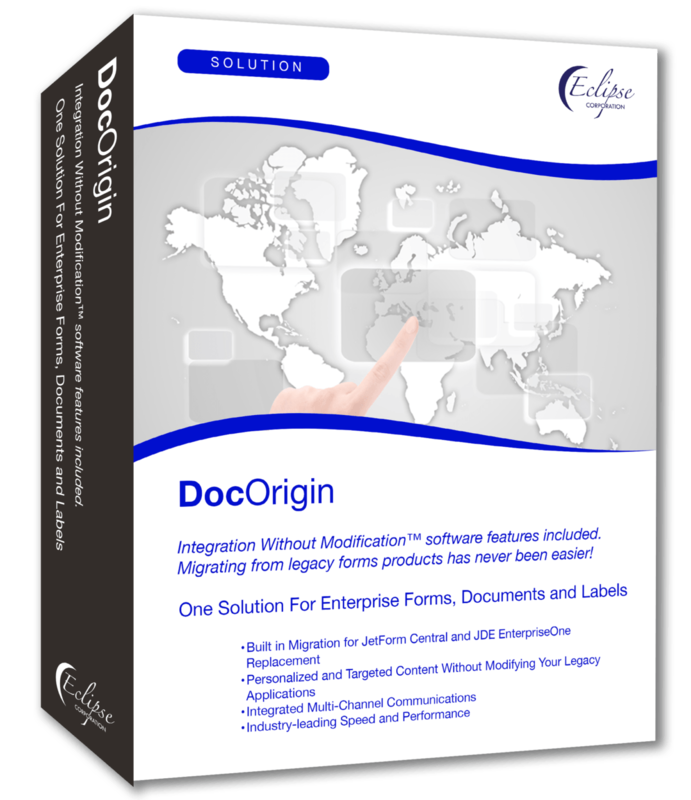 DocOrigin is the next generation of document generation software. Learn more about DocOrigin, and how we can help you meet your document accessibility goals. Learn more about PDF/UA by downloading this comprehensive guide, “PDF/UA in a Nutshell” provided with the compliments of the PDF Association and Eclipse Corporation. Download samples of PDF/UA compliant invoice documents, created with DocOrigin.